In 2011, Community Research Partners (CRP) and The Thomas B. Fordham Institute (Fordham) entered into a partnership to conduct research on student mobility in Ohio. Fordham, a national leader in advancing educational excellence through quality research, commentary, and advocacy, wanted to build on their recent research on student mobility in the Dayton area and examine student mobility throughout the state. CRP brought to the project its experience in undertaking research on student mobility in the Columbus City Schools (CCS) and in processing and analyzing student-level records from the Ohio Department of Education (ODE). In June 2011, Fordham provided CRP with a planning grant to develop a workable research plan. ODE provided CRP with student-records from the Education Management Information System (EMIS). Beginning with the 2008 -- 2009 school year, EMIS has included unique student identifiers that charter schools in Ohio. With assistance from ODE staff in understanding and using the EMIS data, CRP analyzed student records for Franklin County districts. 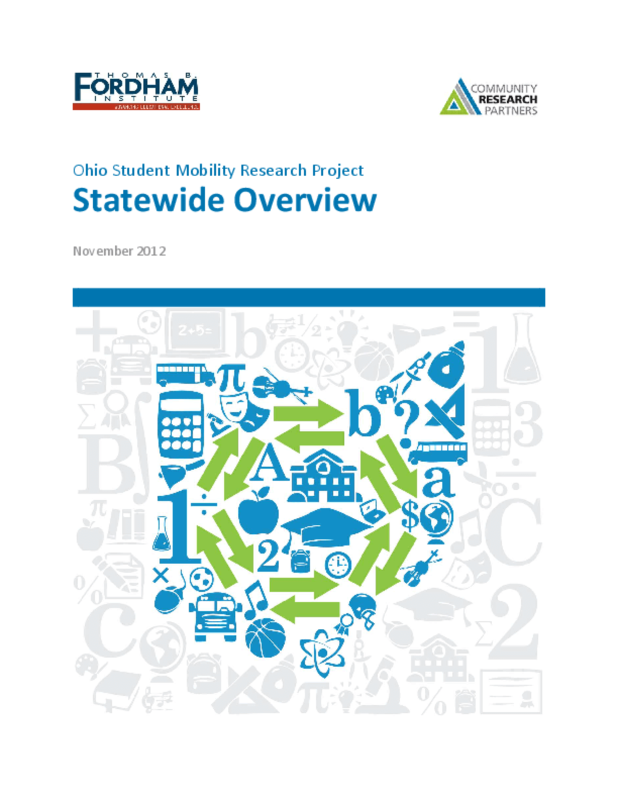 The outcome of the planning phase was a design for a large-scale study of student mobility in Ohio, to be conducted by CRP. Work on the project began in February 2012.